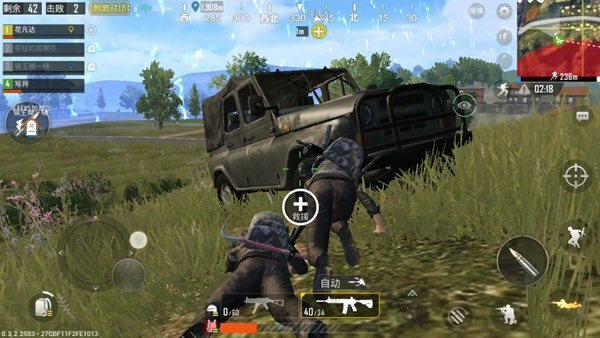 In the PUBG Mobile: Stimulating Battlefield game, having a good weapon is equivalent to embarking on a chicken journey. Firearms are the minimum guarantee for players’ survival. However, there are more firearms in the game. Many players do not know what firearms are best for themselves. This article gives you an explanation of what weapons are most useful in the game. The most commonly used weapon standard is AKM and M16A4. AKM is good at mid-range shooting. Its power is extremely powerful, and the gun has a great advantage. However, AKM’s long-distance shooting is very jittery and difficult to control. This is the real reason for the M16A4. 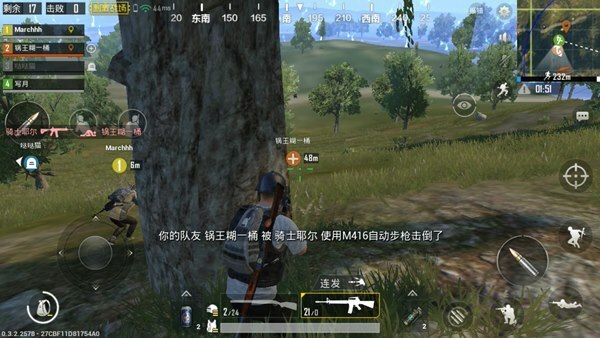 Although M16A4 can not switch fully automatic mode, but he is very good at long-range shooting, and the gun is more stable when shooting, making up for the shortcomings of AKM is not good at long-range shooting. The most practical rifles are the M416 and SCAR-L. The performance of these two guns is very similar, and most importantly, the two guns are highly trade-offs, even in close range, medium range, and long range shots. They are not the best in every field, but they have few fluctuations in either the fully automatic mode or the burst mode. Submachine guns and shotguns are the best at melee. If the submachine gun is full of vectors, it is the most powerful submachine gun series. However, it is very difficult for Vector to be fully configured. Usually, having a UMP9 is also very good. In the face of a gun, the most powerful shotgun was a shotgun. The destructive power of the shotgun is amazing. It ignores any armor and is the fiercest melee weapon. The S12K in the shotgun is extremely scary, killing the target with only two rounds of ammunition. If it is equipped with a cartridge, it is almost unstoppable and can be called the king of close combat. The sniper rifle is an indispensable part of the luxury configuration, but there are many kinds of sniper rifles and only four sniper rifles can be favored by the player. First of all, players prefer the single-shot sniper rifle, but the single-shot sniper rifle on the map has only Kar98k. 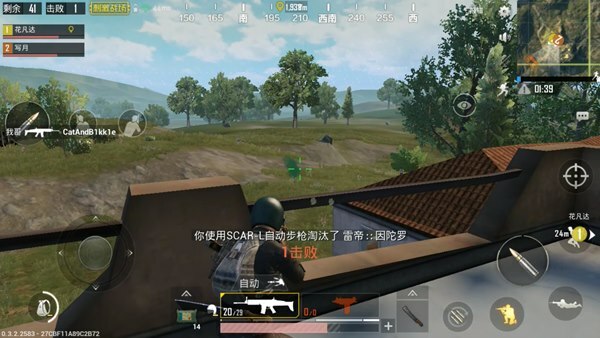 M24 and AWM appear. The performance of the Kar98k and M24 is very similar and both possess this powerful lethality. The secondary helmets appear to have no effect in front of them. However, the speed of the Kar98k ammunition is too slow, and the clip cannot be installed. The practicality of the late stage is poor. AWM is the best sniper rifle in the entire game. Its destructive power is astonishing. Even if a player has a third-class helmet, it can’t resist its headshot. It is fierce. Another sniper rifle is the Mini14. This gun has a long range and very good stability. The most critical is that it has a very fast rate of fire and very weak recoil. Although the power is slightly inferior to the single shot sniper rifle, the uninterrupted shooting makes the enemy helpless. Having a sniper rifle in the game With an automatic rifle, your weapon configuration is very luxurious, and players are even closer to eating chicken. The most useful sight in the game is the 4x lens. 4 times the lens on the rifle, you can shoot long-range enemies, but also as a telescope to observe the enemy, practicality is very strong. The sniper rifle needs to be equipped with a higher sighting scope. If there is no sighting scope higher than the 4 magnification scope, the use of the sniper rifle is greatly reduced. Normally, the sniper rifle needs to be equipped with 8x lens to show the real power! The red dot sight is suitable for M16A4 point and the hologram is suitable for most automatic guns. If the player likes to shoot, the hologram is the best choice. . When players pick up firearms, they should not simply think that weapons are rare and that they are powerful. They must choose according to their actual conditions. Can play the greatest strength of each gun!